« I Bought a Three-Legged Horse Today! It was warm today and the sun came out for about thirty minutes, but it also rained and was muggy. I managed to get the island flower bed completely weeded, then went back and re-weeded the prayer garden and worked on the south border garden. The yard’s a mess! 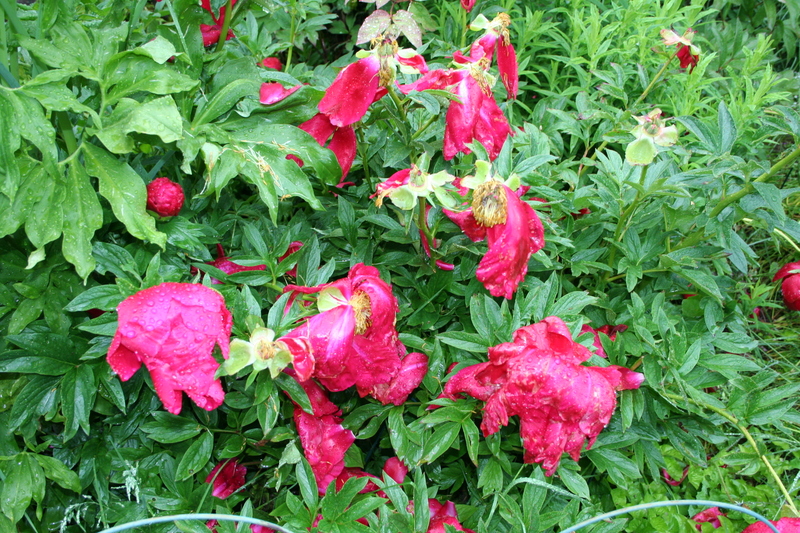 The state of my peonies. 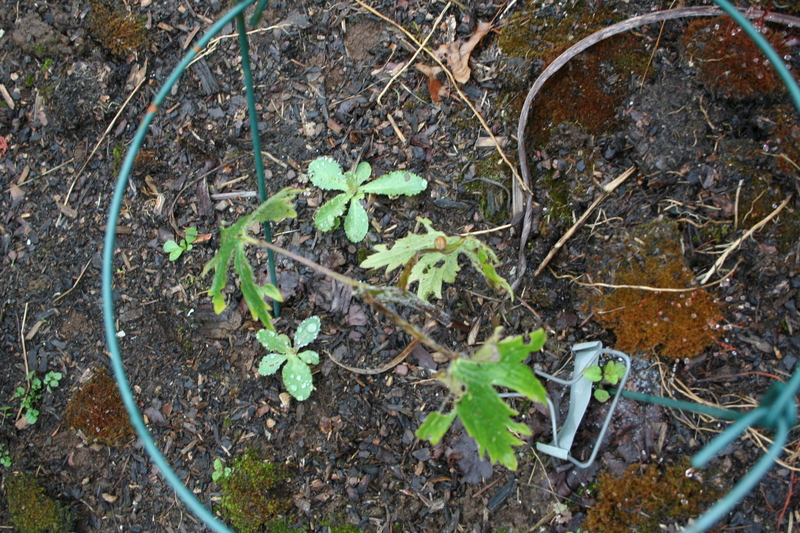 My poor delphinium after torrential rains and slugs. The slugs love this weather. 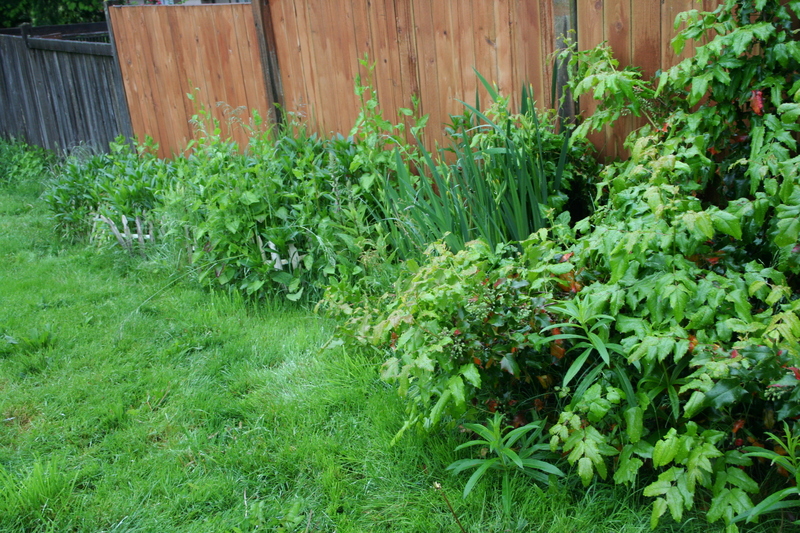 The south border garden before I started on the weeds. The weeds are what all the really tall plants are. I feel pretty overwhelmed by how much needs to be done. None of the plants I’ve been buying have been planted, I need to move some plants to better locations, I still haven’t been able to kill the borage (actually, I think it is mertensia paniculata or a bluebell, but it is in the Boraginacae family) (beware of growing any in your garden! It takes over!) or the fireweed and… it’s just a lot of work!